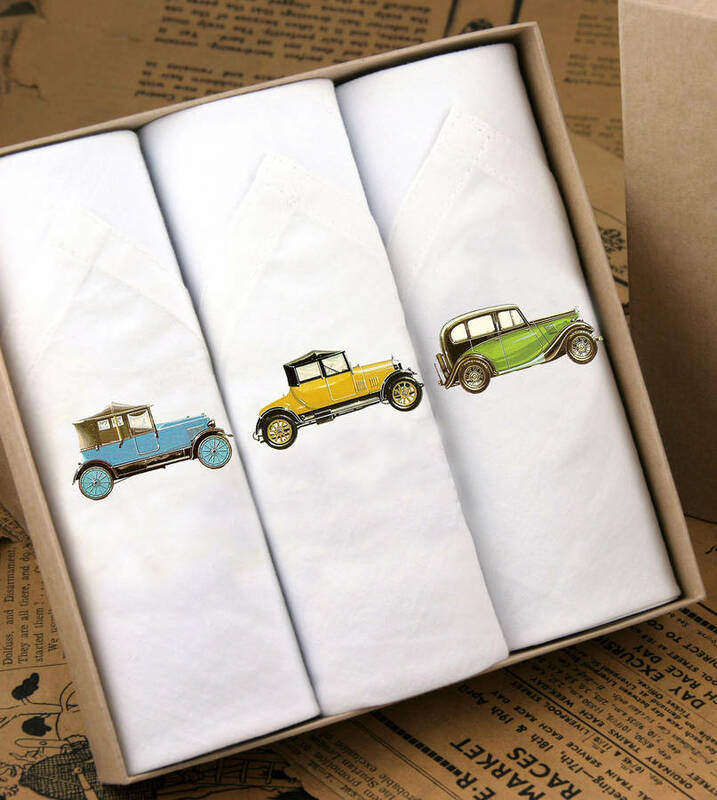 A classic gift box of white cotton men's handkerchiefs printed with images of antique cars. 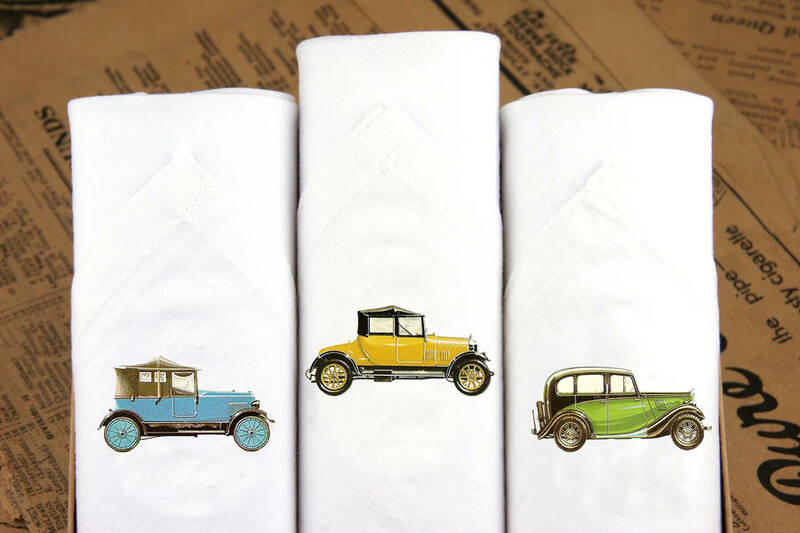 for a gent who loves vintage cars! 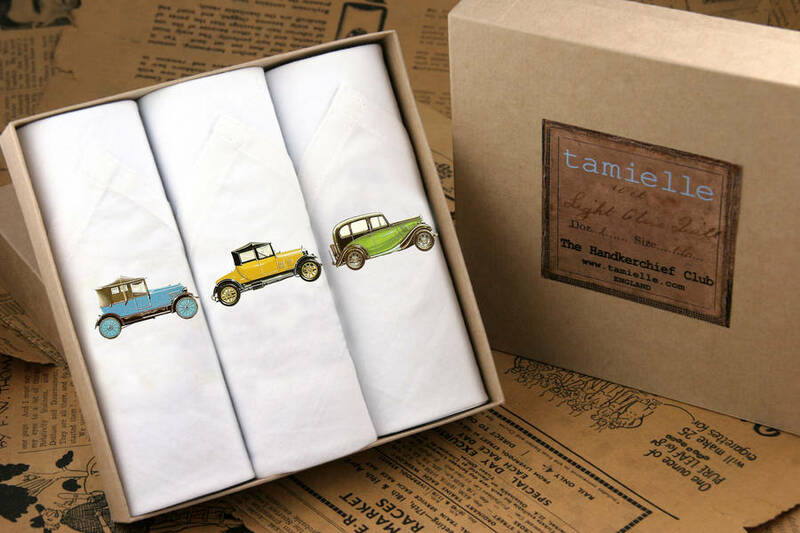 An ideal gift for birthday's, Father's Day, Christmas gift or as a stocking filler.